Pin ball, Pacman, and more. These arcades in MO have all of the games that you could possibly want to play. When you spend the day at an arcade in Missouri you will be entertained for hours, guaranteed! Get ready to Rock and Roll at Ward Parkway Lanes MO arcade which offers fun for children of all ages with a mouthwatering kids menu. This includes, but is not limited to; Youth activities, High school bowling club, Birthday parties and fundraisers for teams or special interests. Every day is not just another day! There is a Friday Special at $9.99 for 3 games + tax. Store hours are Monday through Sunday. 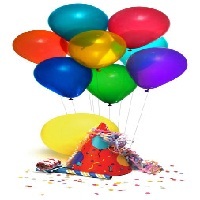 Call today to schedule a birthday party. Birthday packages on offer are; Strike- $9.99 and Ultimate - $12.50 with 2 Games, soft drinks, birthday gift and much more. Quite possibly, AMF Bowling Centers, Inc. is the world's largest owner and operator of bowling centers. More than 20 million bowlers participate in AMF Bowling Centers per year. How incredible! For your birthdays, fundraisers, bowling for fun, think AMF Bowling Center Arcade in MO. The minute you walk into this center the arcade looks like some fairytale. It is an experience you will live to remember. It is best to call and make reservations in order to not be disappointed. Hours of operation are from 11 am to midnight except on Monday where operations start slightly early at 9 a.m. Tons of games to play are available plus plenty of ways to spend your money. Seize this opportunity to enjoy loud music, play arcade games and watch bright lights at Dave and Buster’s Arcade in Missouri. D&B’s arcade has freshly cooked and generously served meals which you can end up carrying home. Dave and Buster’s has a lot of fun games thus making it the place to be! D&B’s is clean and well kept; you always get greeted at the door. The store opens regularly on Sunday from 11 am-11 pm, Monday-Thursday from 11 am-midnight, and Friday-Saturday from 11 am-1 am. Whose Birthday is due today? America’s Incredible Pizza Company Arcade in Missouri is a super ideal place to hold a memorable birthday. If you have groups of ten or more, America’s Incredible Pizza Company Arcade is your best bet. Be it a Church group, Youth Group, Boy Scout/Girl Scout or Corporate Team Building they have something for you! Book for your event today through email or just give a call. Well, the fun center is loaded with games that are pretty current. Come and enjoy a special collection of bounce houses at Bing Boing Bounce arcade in Missouri. This arcade in Missouri offers beautiful and comfortable castle bouncers, sports bouncers and Disney Princess Bouncers. This arcade cares about your safety, they are fully insured. This means they can take care of school events, church events or big events. Don’t worry about hourly rate, that’s where they beat competition! They charge for the whole day usage. Fair enough? 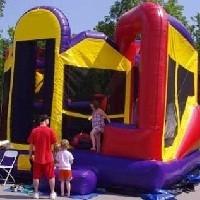 If need be a bouncing house can be delivered and setup to your region. 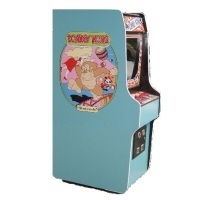 Arcades Market has a wealth of experience in arcade games for over 25 years and is a top rated EBAY seller. Missouri Arcades Market has good feedback dating back to 1999. 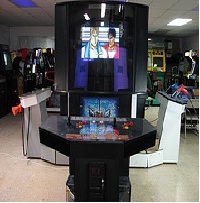 The Arcades Market has pretty good games that gives you good exercise and lets you cool off. Do you like PACMAN? Well, this is a very simple game which has been successful since its inception. Missouri Arcades Market has a large variety of PINBALL at their shop, one of them is TWILIGHT ZONE PINBALL REFURBISHED going at $3950.00. 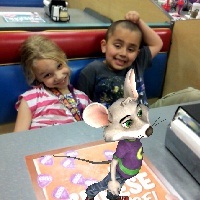 At Chuck E. Cheese's arcade families don’t just have fun but are kept together. How? Every member of a family or group who enters Chuck E. Cheese's gets a unique hand stamp just to make sure upon exit they leave together. Is that wonderful? For kids’ safety, the game rooms, showrooms and several other areas within Chuck E. Cheese's arcade are properly sanitized and cleaned. The food is very fresh and made by hand daily. No frozen stuff! Store Hours are Sunday-Thursday 9 am-10 pm and Friday-Saturday 9 am-11 pm. Do you have any place in mind you want to go this week? 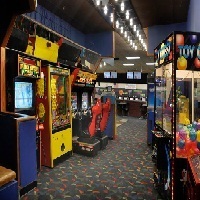 Try The Silver Ballroom Arcade in MO, it is an easy pick for entertainment. There are 18 pinball machines on site such as Lady Luck, Doctor Who, The Rolling Stones and many others in the Ballroom. The Silver Ballroom arcade is open every day except Sundays from 3 pm- 1 am. Only 21+ year olds are allowed. It has one of the smokiest bars, so if you are non-smoker sorry. 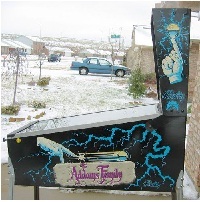 However, there are tournaments, events and pinball machine forums that can keep you entertained. Buoyed by popularity of indoor karting, Pole Position Raceways arcade has been one of the fastest growing companies in this sport. 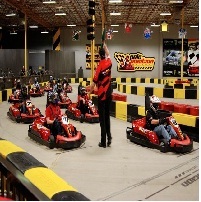 Pole Position Raceways has been growing steadily because it offers several racing options. There are four main races; Arrive & Drive, Group Events & Parties, Corporate Events and Team Building and lastly Public Events and Special races. Notably, Arrive & Drive does not require any reservation. Hi ladies, are you tired of being pushed around by men? 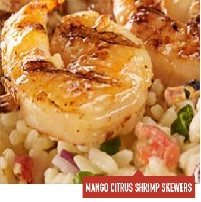 There is special ladies night 5 pm -10 pm every Wednesday. Store hours begin Monday - Thursday 11 am - 10 pm, Friday 11 am – midnight, Saturday 10 am – midnight and Sunday 10 am - 7 pm. The Neutral Zone arcade in MO is an amazing arcade with nearly 50 games and more to come! The neutral Zone comes from a humble beginning as a small kiosk just dealing in toys to a well-established arcade. This arcade has classic games like Mortal Kombat, Spider-Man, Gauntlet and much more! Why not stop by today and get into action! Arcade hours are Friday & Saturday from 12 pm to 8 pm. Sunday is availed for private parties.